Over the years Willis Ide & Son, LLC has partner with recognized organizations in the field of water testing and water treatment products. With our partners, we will determine your water’s health and composition, and then offer you the solutions to bring healthy, clean, and satisfying water. 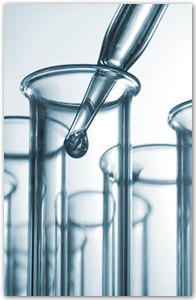 Master Water Corporation: Masters offers water composition testing. 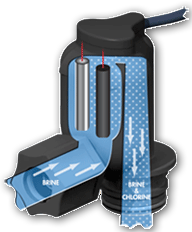 Determining the water composition is the first step to obtaining the correct water treatment solution. Since beginning in 1963, Water-Right‘s mission has focused extensively on treating problem water. That mission has continually driven the Water-Right team to think beyond conventional materials and equipment. As a result, Water-Right has secured a reputation as an innovative and dynamic manufacturer of highly effective water treatment solutions — solutions to which no other manufacturer in the industry can compare. Sterilight and GLASCO UV offers a variety of UV sterilizer that use as a pretreatment and/or post treatment step to kill or inhibit growth of microorganisms, remove ozone, chlorine and trace organics and reduce total organic carbon (TOC). During UV sterilization, the water is exposed at a controlled rate to ultraviolet light waves. The bacteria absorb the UV radiation energy, which destroys or inactivates their DNA, thus preventing the bacteria from reproducing. UV systems may reduce 99% of bacteria in the water. Our local distributor of Xylem and Goulds products is Eastern Penn Supply Company. To find the location nearest you, please visit their website at Eastern Penn Supply Company. Gould Pumps by Xylem boasts a proud tradition of supplying quality pumping products to the global industrial markets for over 150 years. Goulds is the dominant brand worldwide with over a million installed process pumps in service. Goulds industrial brands include Goulds Pumps, A-C Pump, PumpSmart®, and PRO Services™. Goulds is committed to lowering pump life cycle cost by providing innovative solutions to your fluid handling problems.